The JAS1100SG silver-plated alto saxophone is a perfect example of the classic hand-crafted design practices that reside alongside state-of-the-art manufacturing processes. The JAS1100SG is the perfect step-up alto saxophone for the committed student or practicing professional. 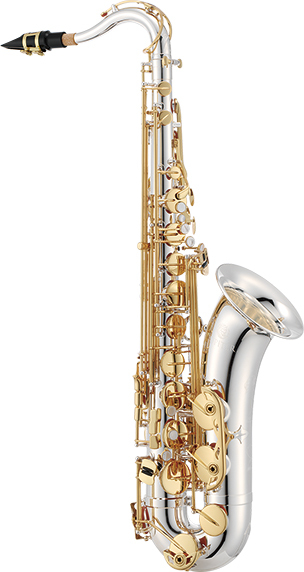 The JTS1100SG silver-plated saxophone is a perfect example of classic manufacturing with modern technology. The elegant lines complement the quality materials used in producing these spectacular horns. 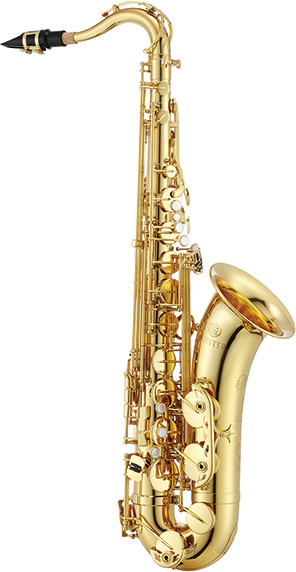 The JTS1100SG is the perfect tenor saxophone for the committed student or seasoned professional. The JBS1100 gold lacquered baritone saxophone is a perfect example of the classic hand-crafted design practices that reside alongside state-of-the-art manufacturing processes. The JBS1100 is the perfect step-up baritone saxophone for the committed student or practicing professional. The JBS1100SG silver-plated baritone saxophone is a perfect example of classic manufacturing with modern technology. The elegant lines complement the quality materials used in producing these spectacular horns. The JBS1100SG is the perfect baritone saxophone for the committed saxophonist. Adjustable height palm keys enable any size hand to fit comfortably on the upper stack.